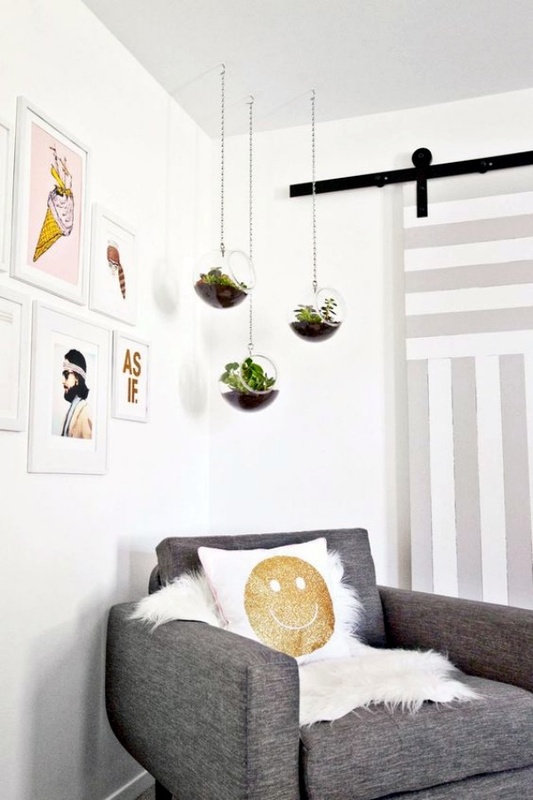 Wall hangings are a great way to change the way your walls look. 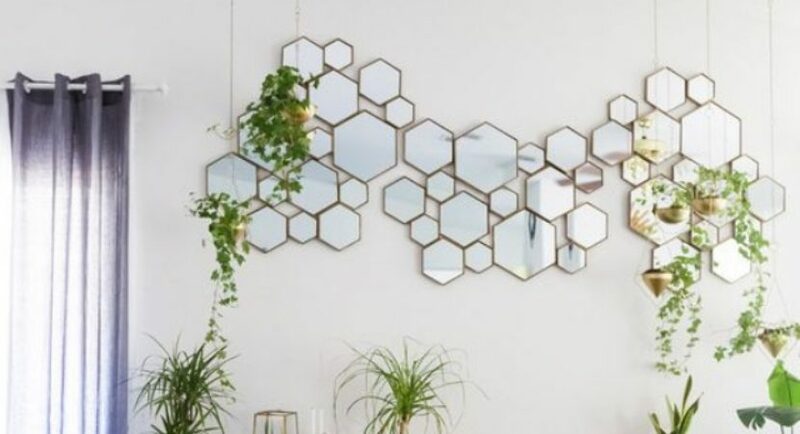 They can turn a boring and dull wall into something really creative. Agree? 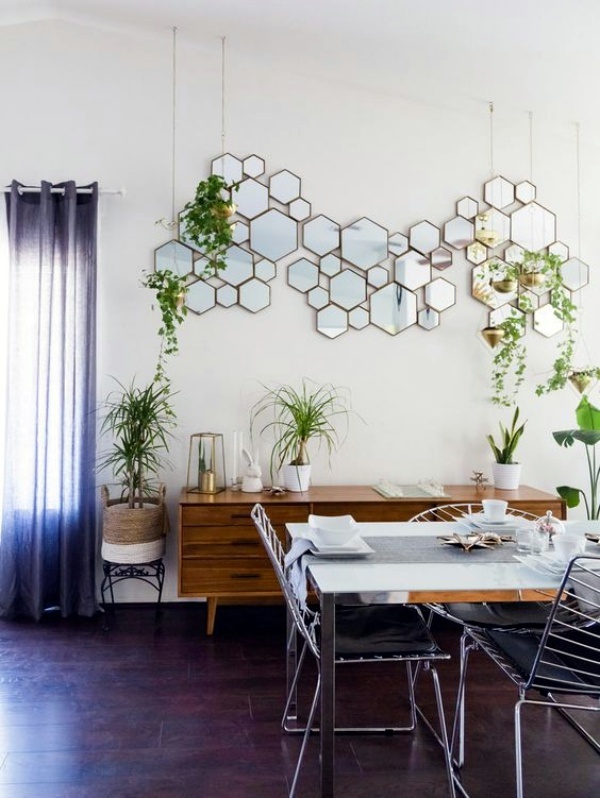 So, if you are thinking of giving a face-lift to the rooms of your house, then hold on people! Why not do it by going green? 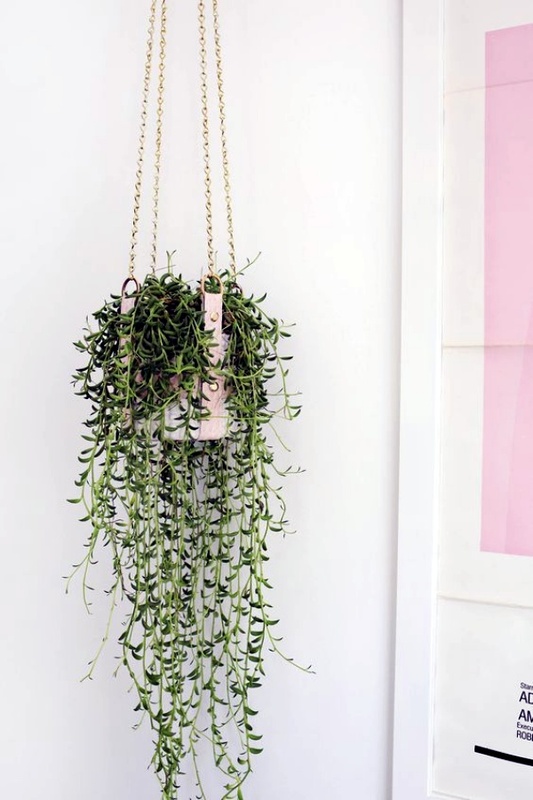 Make it more fun with these quirky and uncommon wall hanging plant decor ideas. 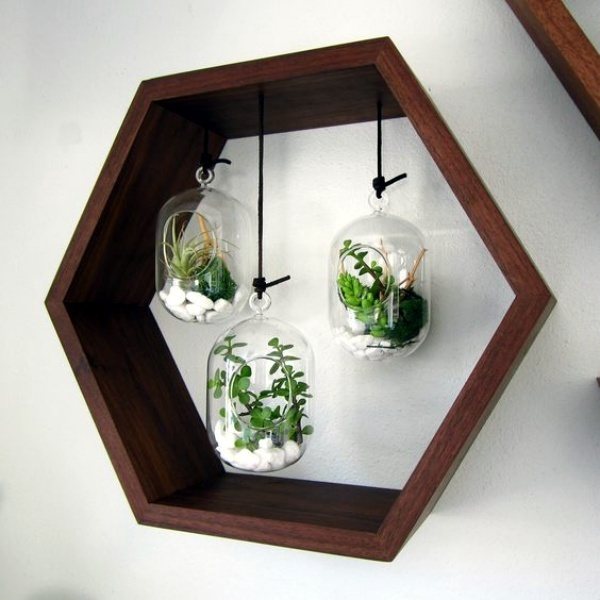 They will add an extra dimension to your interiors! 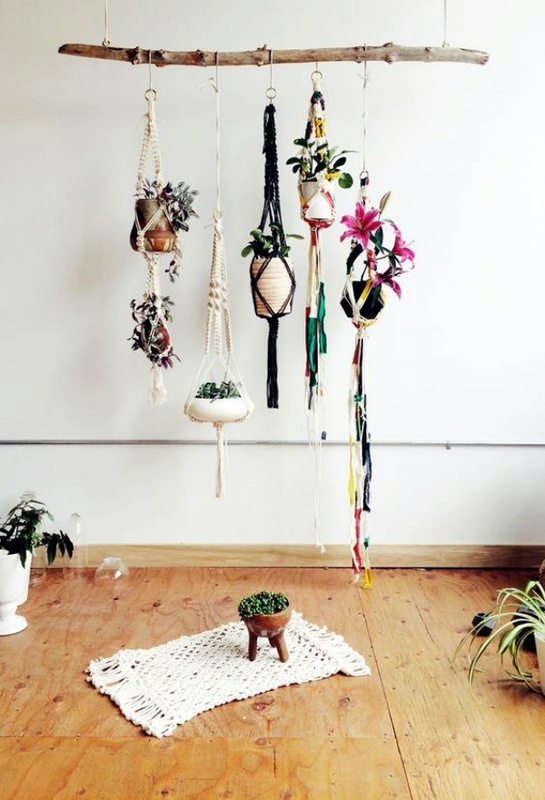 You will get loads of perfect Wall Hanging Plant Decor Ideas, but why not experiment a little with them? 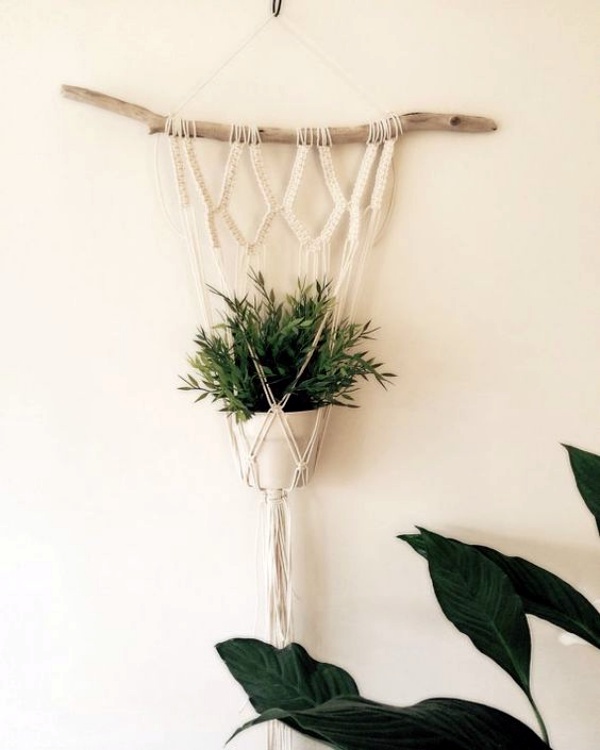 The best way to decor home on a budget is after all nature’s way! Use a palm frond as the back support. 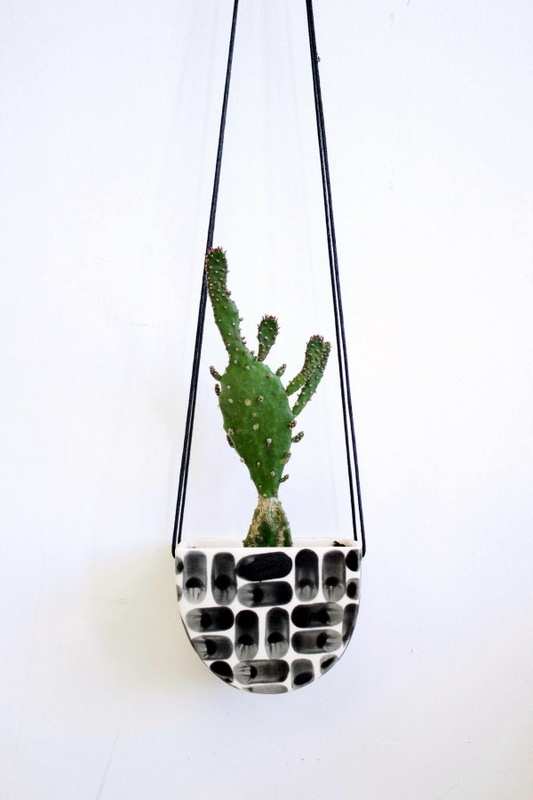 A cone of wire meshing and some nice material to cover it up and you have a scoop planter for small plants. 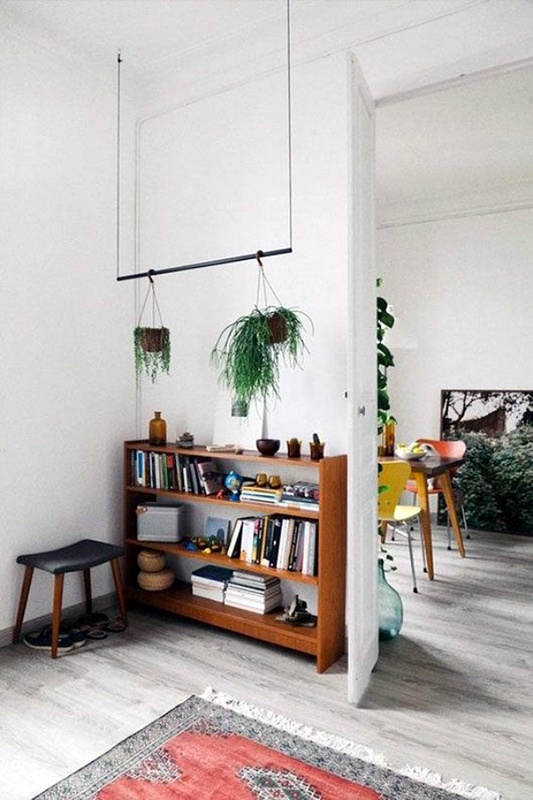 Indoor plants ideas are just so minuscule-y perfect! 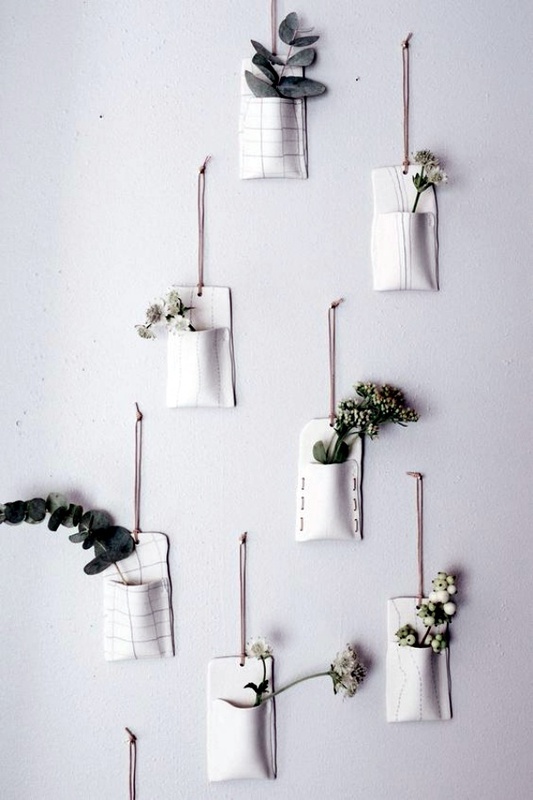 Ditch the earthenware pots and instead just plant your greenery in cloth holders held together by safety pins. 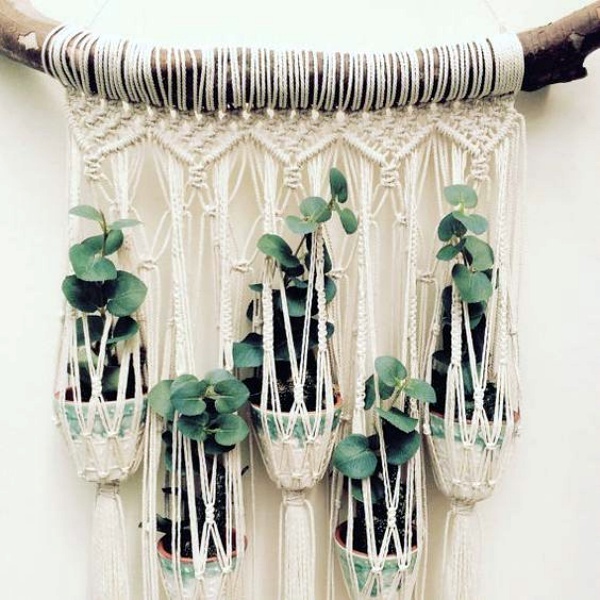 Isn’t that just one of the coolest wall hanging plant decor ideas ever? 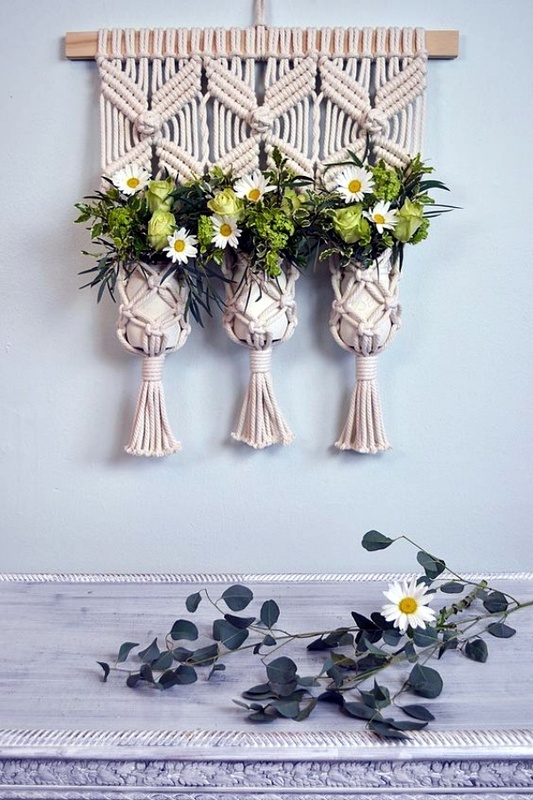 For a decorative look, make holders with some twine and wooden beads that can hold the plant pots up. The brighter the beads, the better! Carving the wood to demonstrate name of your planter on it would be a nice idea, isn’t it? 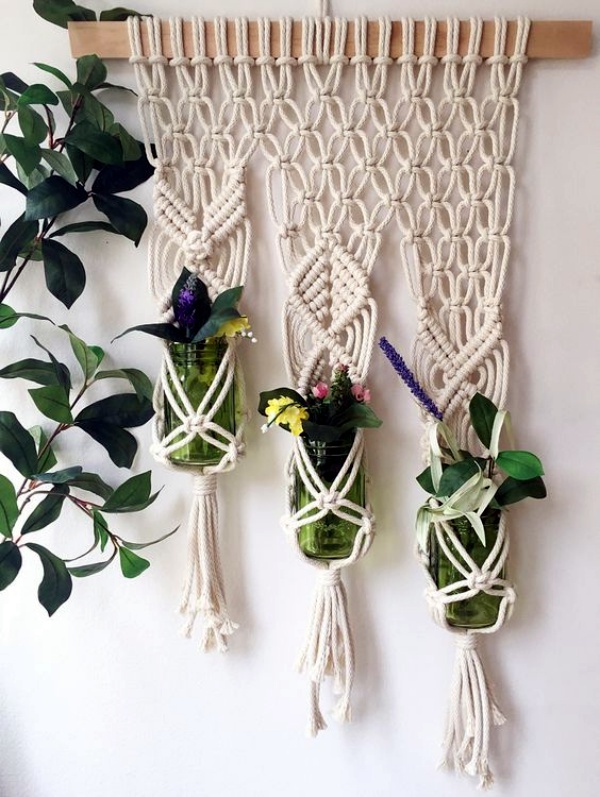 Fishnet fabric holding the planters as to hang it on a wall is something incredibly recreating for your home. 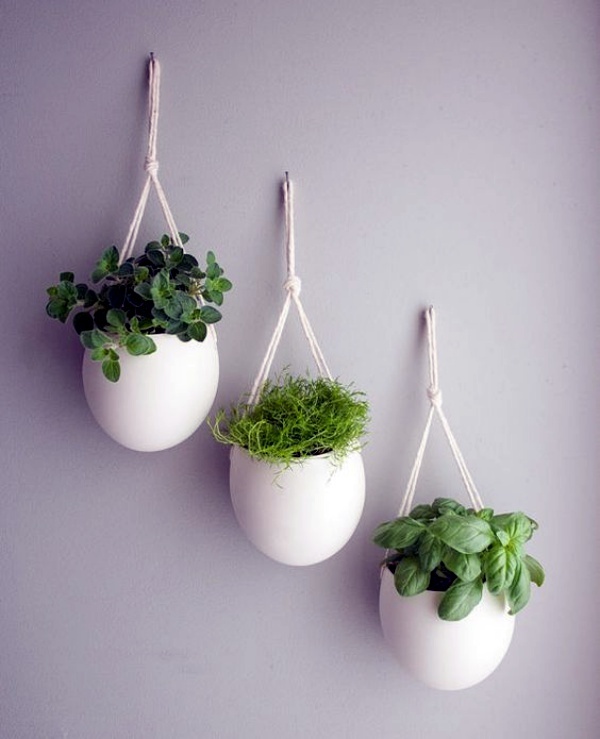 Else you can use plastic goldfish bowls to hold plants instead of fish, and hang them up using hooks. 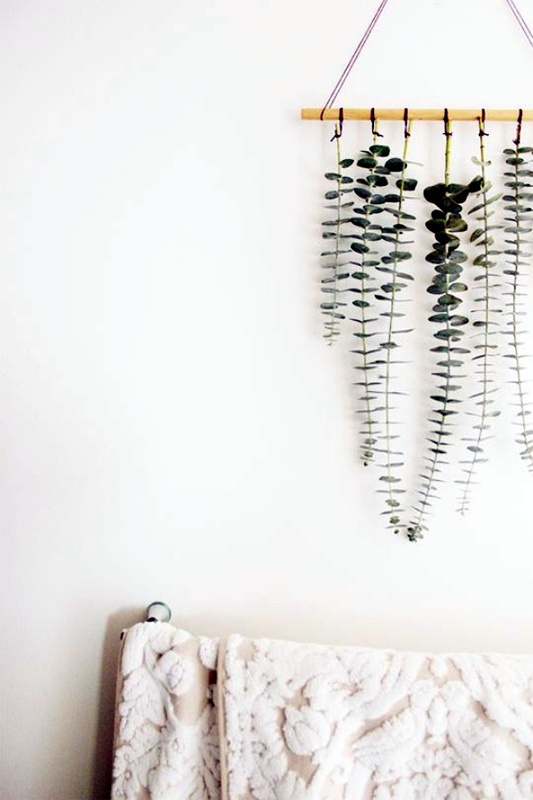 This is one of the easy wall hanging plant decor ideas you can try. 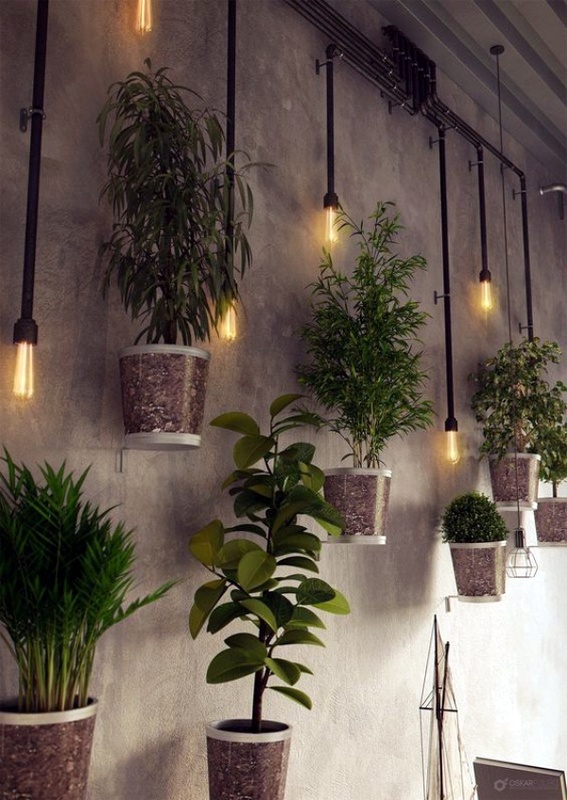 Take a piece of an old PVC pipe, cut out a few holes, fill it with soil, and put the plants in. 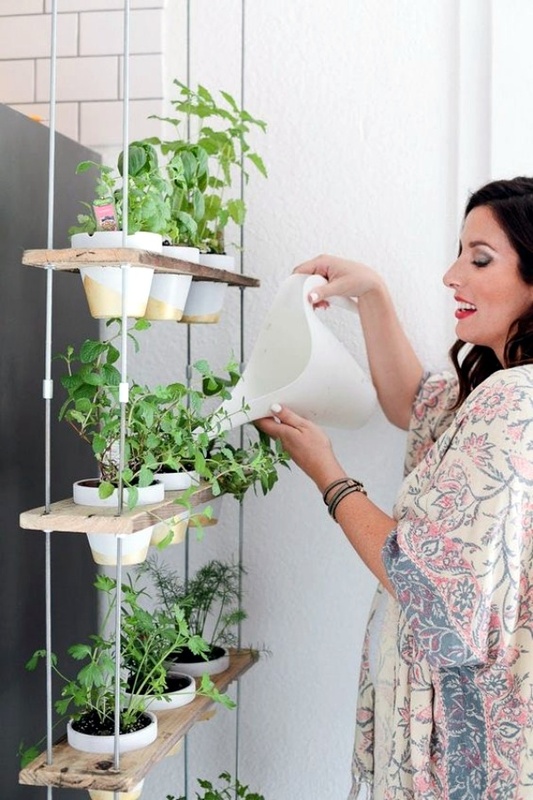 You can attach it to the wall using hooks or a bracket. 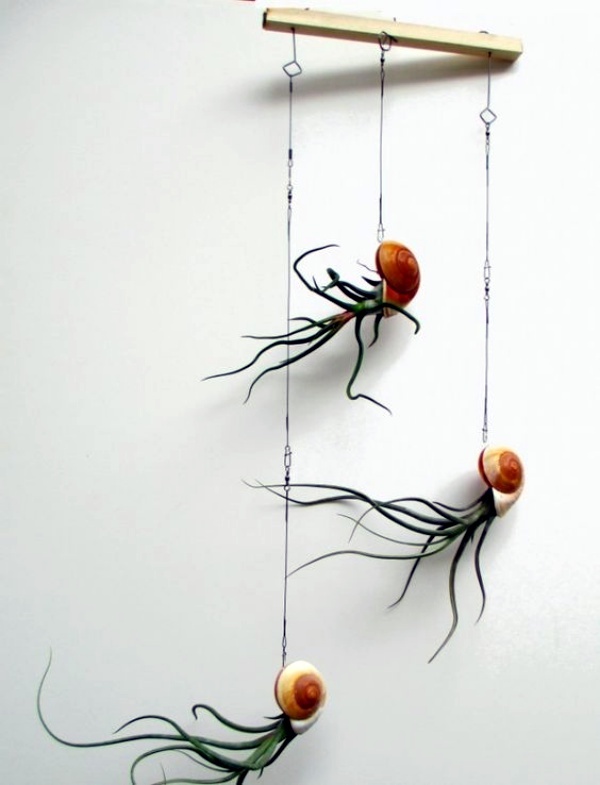 A great way to reuse a pipe! Make holders out of embroidery hoops, making a globe out of them. 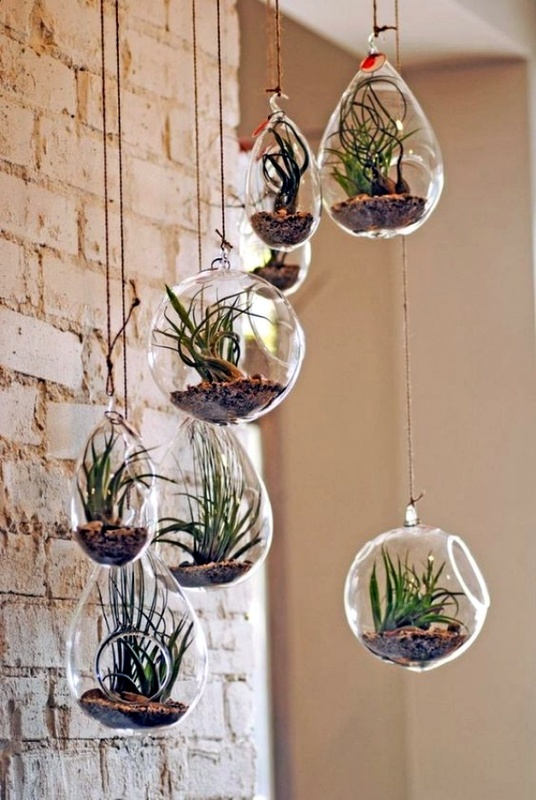 Place the plants inside this globe and hang it up. 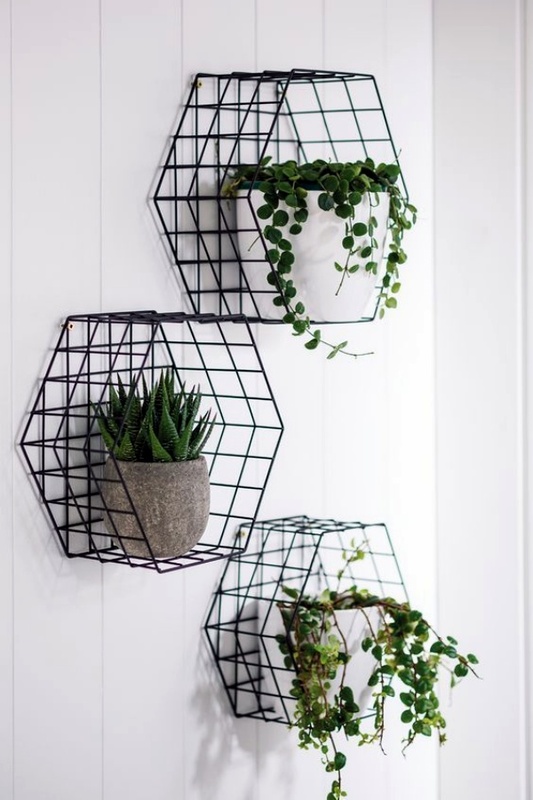 Whilst amazing crocheted patterns is there pulling the eyeballs, the green planters in it is filling your space with nature and flora! 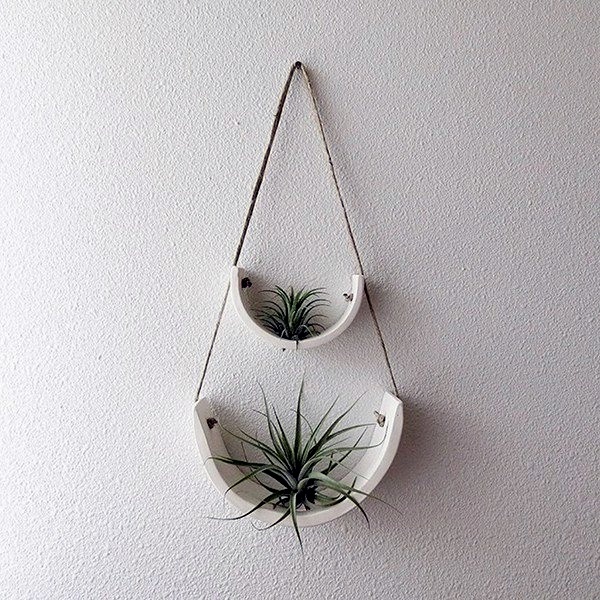 You can get some great hanging planters at Ikea, if you don’t want to make them yourself. Bring home a couple and get going. 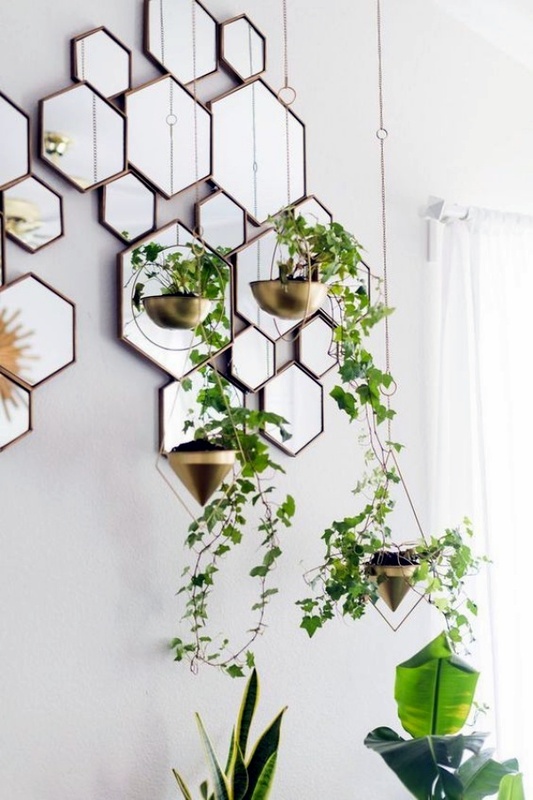 Have a wall with embellished mirrored interiors done on it and accentuate the space with these classy Ikea planter that you would find just so easily. Some rope and some ribbon is all you need. 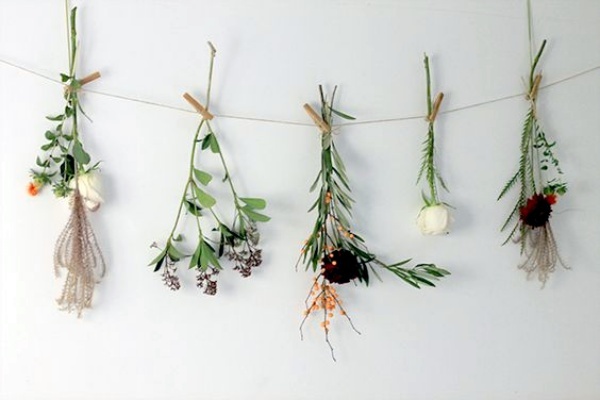 Just wrap the rope using glue around the pots, and decorate as you like with the ribbons, then hang them up. 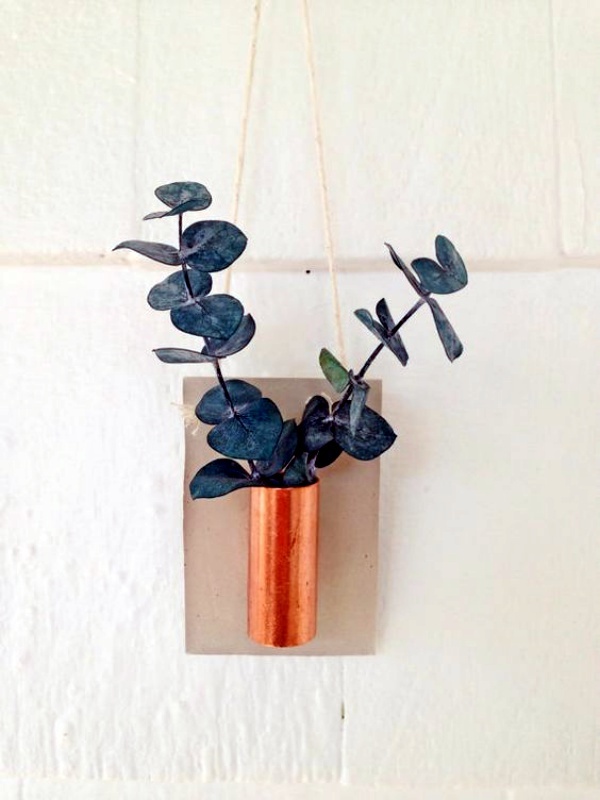 Get some copper couplings, and put your plants into them, then attach them to a wall bracket for one of the simplest wall hanging plant decor ideas. 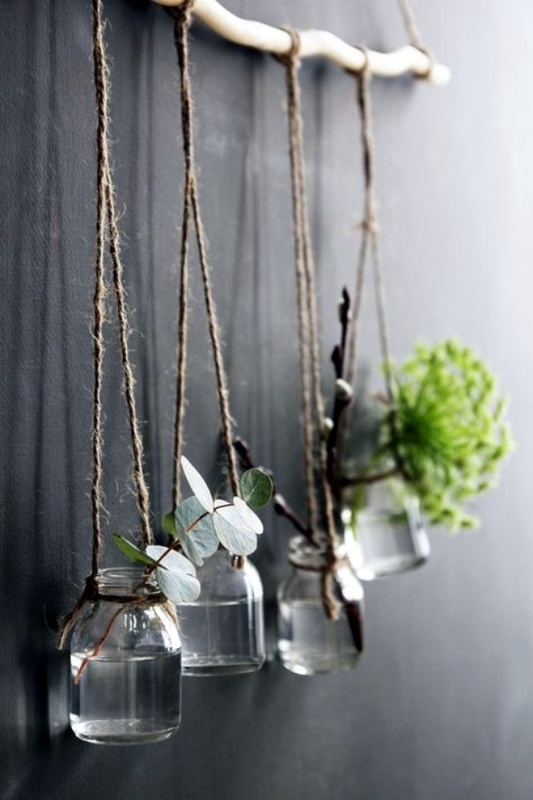 If you have a coat hook nobody uses, put some plants into jars with handles and hang them up on the hooks. This one is so simple, it will hook everyone. 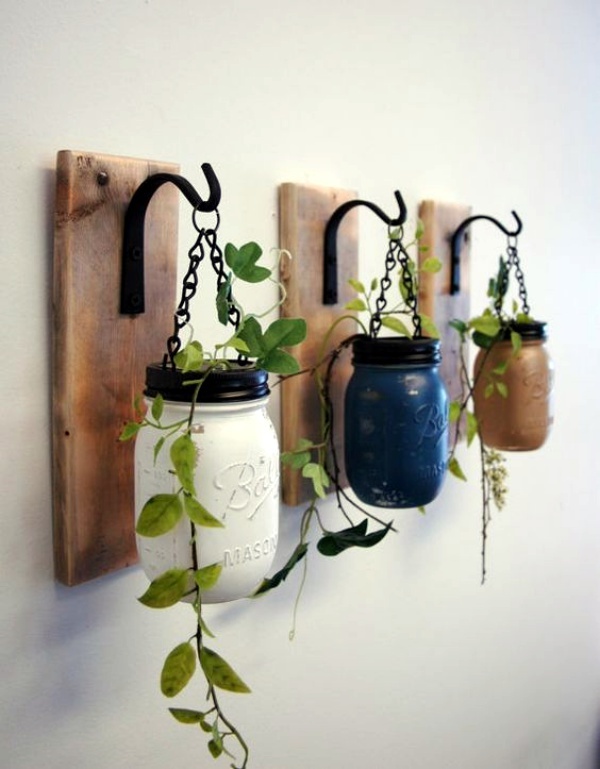 All you need is a Mason jar, some wire, and wall hooks, and you have another of the simple yet eye-catching wall hanging plant decor ideas. Got an old punctured tyre? 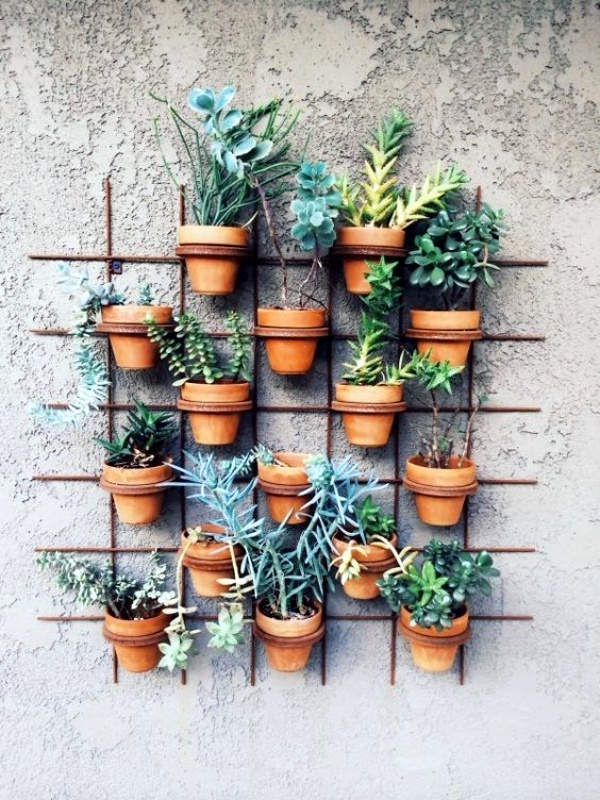 Paint it a bright color and use it to put your potted plants in. Hang up the tyre and you will be applauded for your creativity. Got an old shower rod? 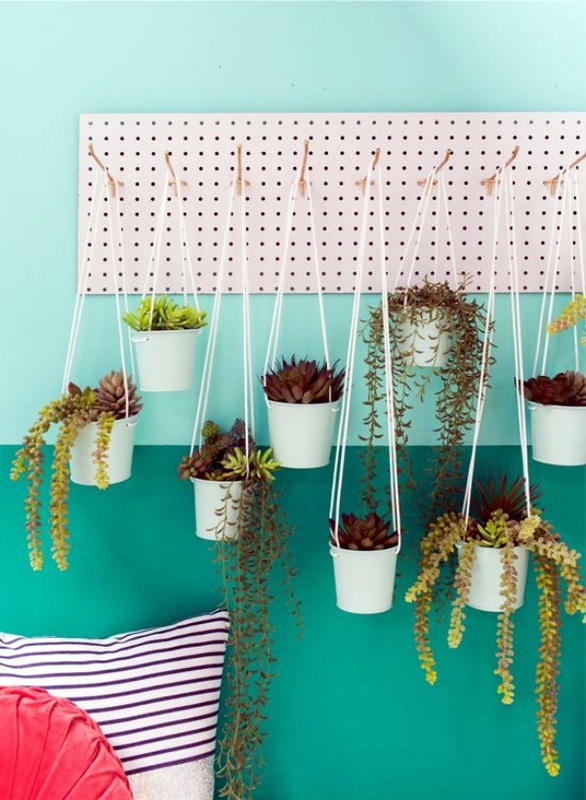 Hang it up and then hang your potted plants using hooks. 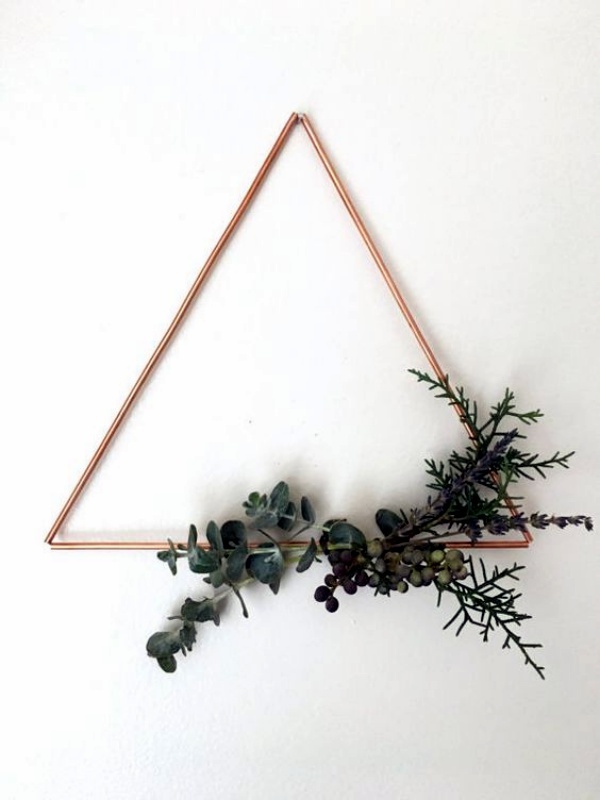 Simple yet delightful, isn’t it? 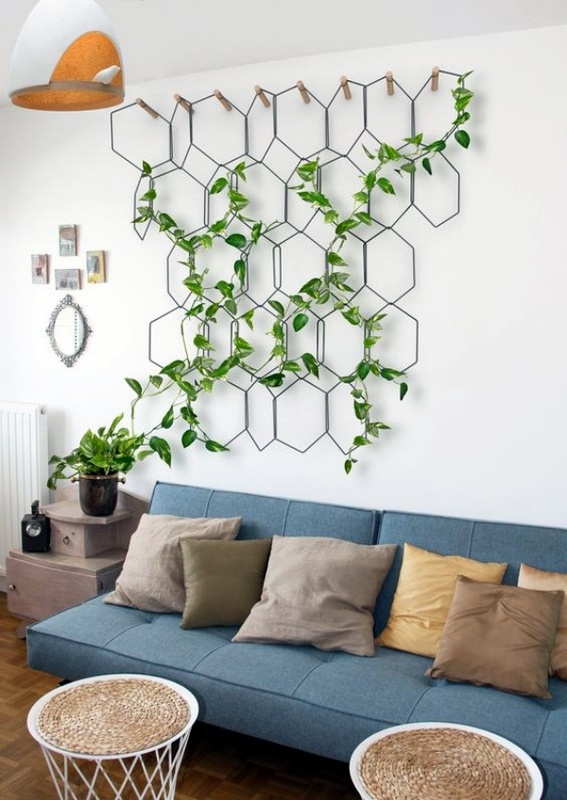 If you have a lattice and you want to do it up with greenery, get some steel buckets and attach them to this lattice with hooks and put your plants in. It is uncommon and will lend a different look to the place. 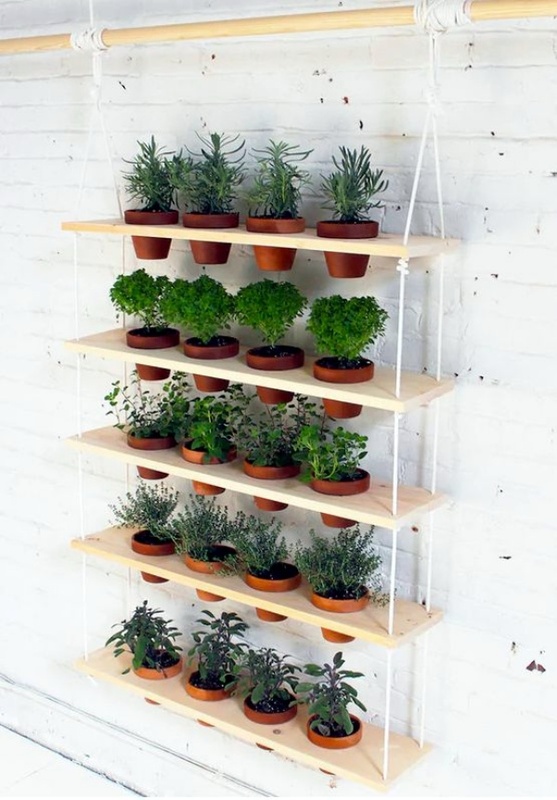 Take a simple wooden shelf and hang it up, then place your plant pots side by side. 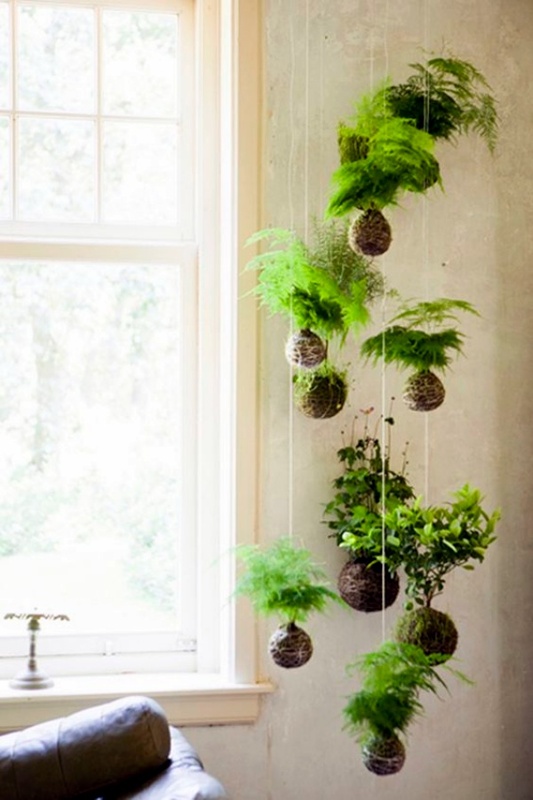 Again a simple yet effective way to have plants in the room! 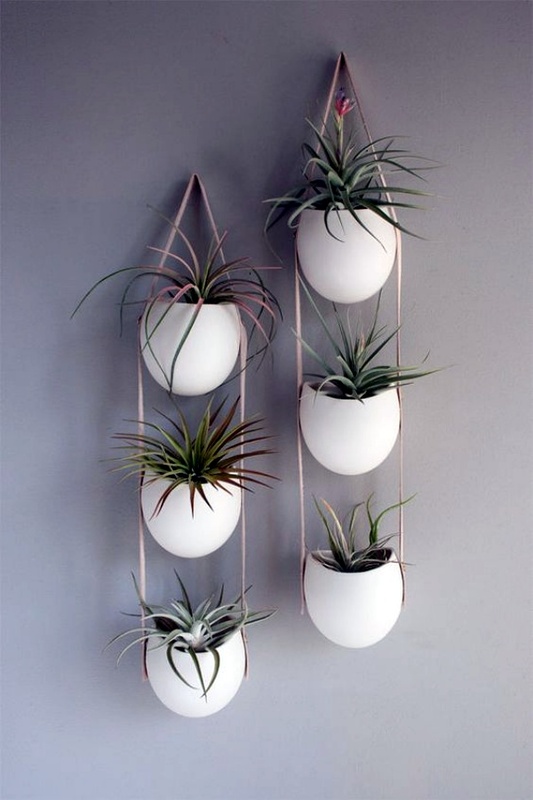 There are great wall planters available online, in semitransparent designs and ocean patterns that look great with air plants on your wall. 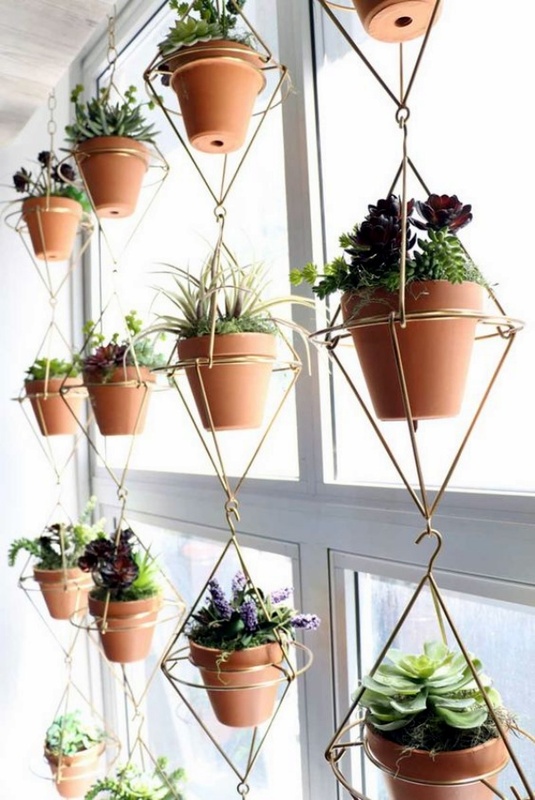 If you have one of those hanging pocket shoe organizers, secure it well to the wall, and put your pots into the pockets and you have an instant hanging garden. 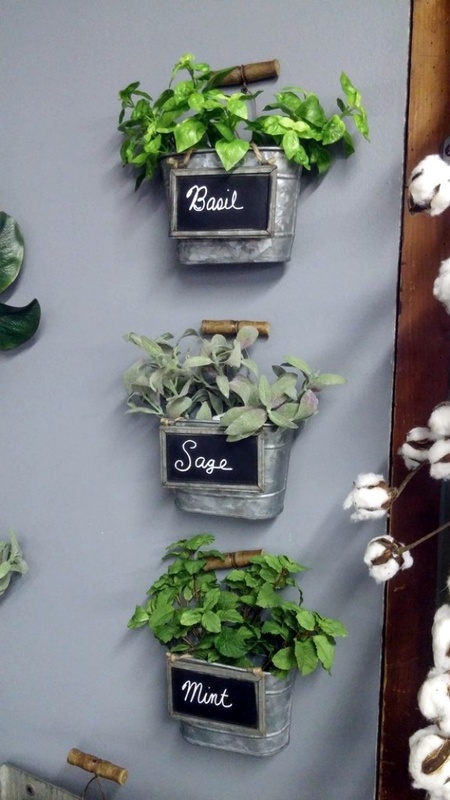 Some twine, scrap wood and plant pots are all you need. 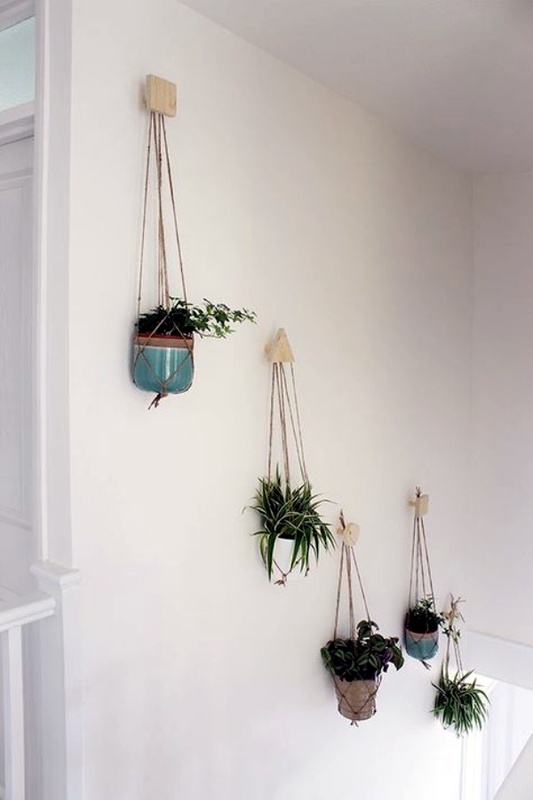 Make two or three tiers with the wood in square shapes to hold the pots and use the twine to hang it all up. 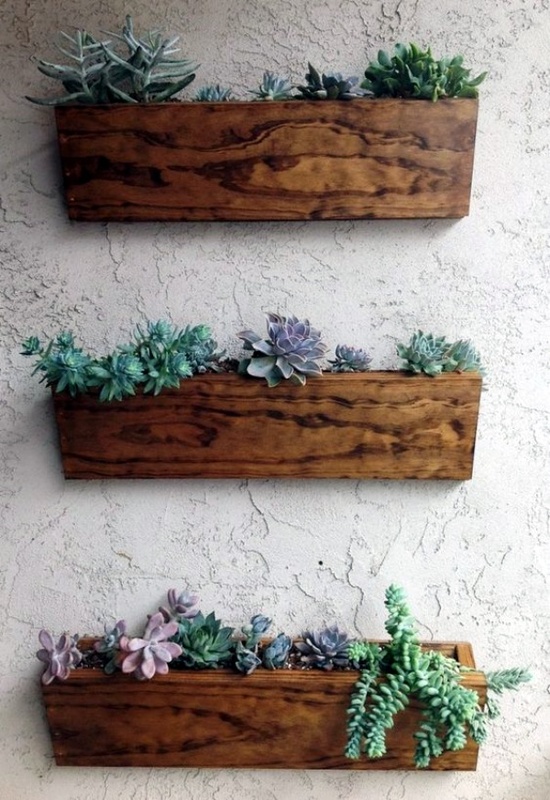 Put old unused crates to great use by nailing them to the wall and putting small potted plants inside. 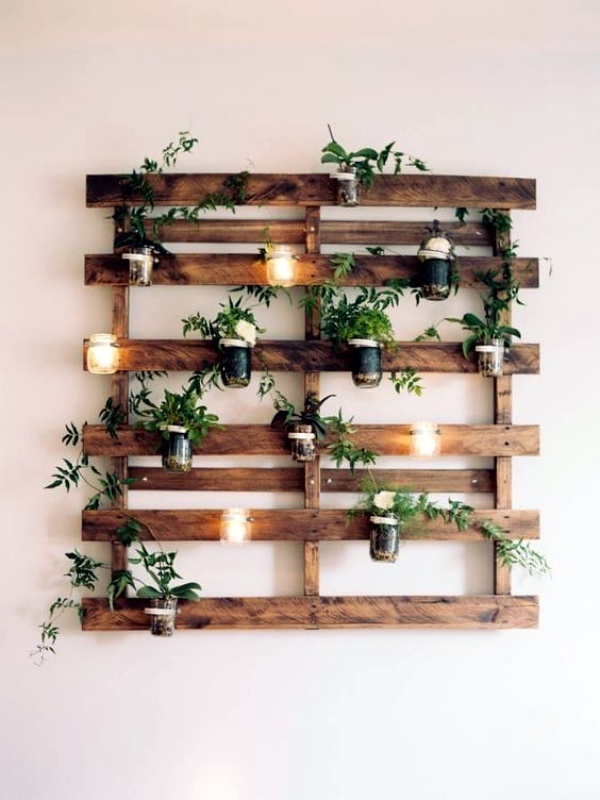 Be as creative as you like, by arranging multiple crates. Got one too many wine holders? 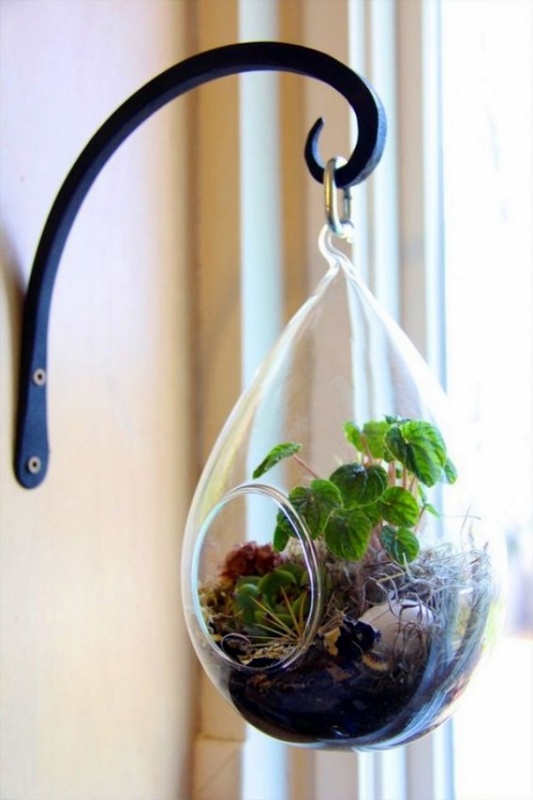 Well use one to hang up plants instead of wine bottles, and you have a nice little garden. 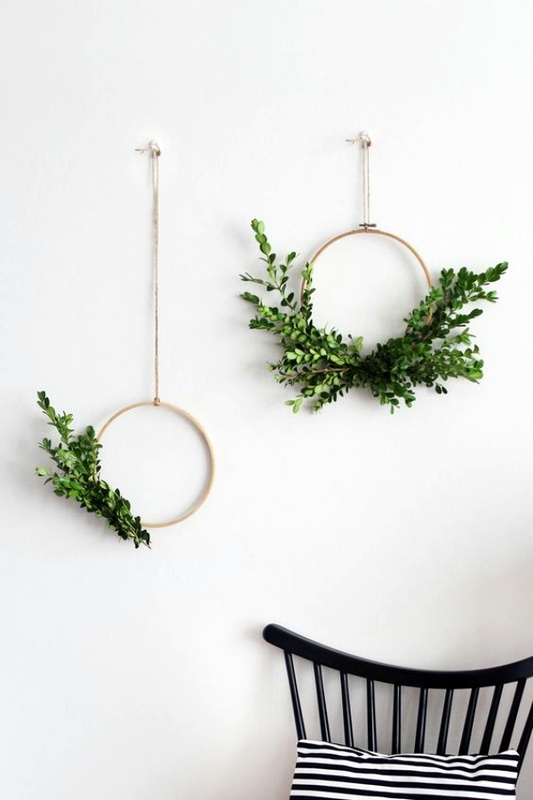 These cool and fun wall hanging plant decor ideas will give you something to think about!